Happy Friday Foxy Friends! As we speak I'm camping...yep imagine me camping. We'll see how it goes and if we want to go back. But before kids we loved it, so I am hoping the kids love it too so we can add it to the ever growing list of things we can do as a family. Today I'm bringing you a new link up I just heard about. Crystal, Beth, Jessica, and Stephanie have created a new link up! 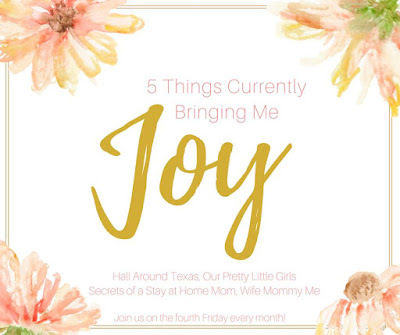 It's called 5 things currently bringing me joy. They want you to write down 5 things that bring your life joy. I love it, simple and reminds me to be thankful for what I have instead of thinking of what I want/don't have. They are going to do it the last Friday of every month, starting today! So let's get started. Mini Fox is finally old enough to go shopping with me and actually enjoy it. We walk around, do a little shopping for me, do a little shopping for her, it's the BEST. I've been waiting for this since the doctor said "you're having a girl"
Donuts, do I need to say more? 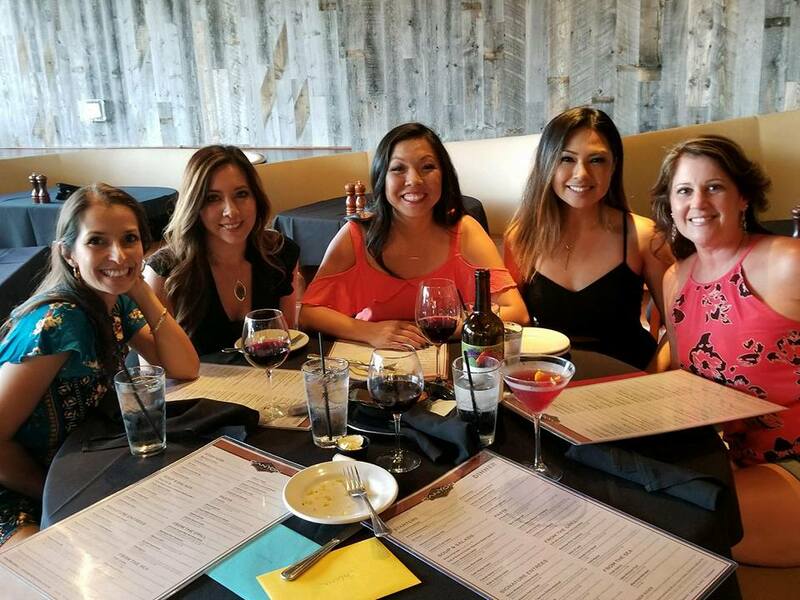 Being able to get together with these ladies and watch our kids grow up together brings me such joy. I can't imagine better people in my life to support me and my family. I look forward to many more years together, laughing, loving, crying and supporting. Halloween is right around the corner, which means Halloween costumes...okay it's not RIGHT around the corner, but Costco starts selling them now. I always feel like Halloween is the start of Fall, at least for our weather and then all of the fun festivities after that, Thanksgiving, Christmas, New Years. Geez, it seems like the year just flew by. Thanks ladies for hosting such an awesome link up! I'll be back next month with some more joys.